After boldly stating that Samsung would deliver a foldable Galaxy Note smartphone in 2018, Samsung’s head of mobile Koh Dong-jin has now backtracked on his claim at CES. When initially making the announcement last year, Koh did acknowledge, though didn’t specify, that the company had yet to overcome certain hurdles. Koh has now revealed what the principal issue is; the company has yet to create a compelling user experience for the device and that this would now push its launch as far back as late 2019. 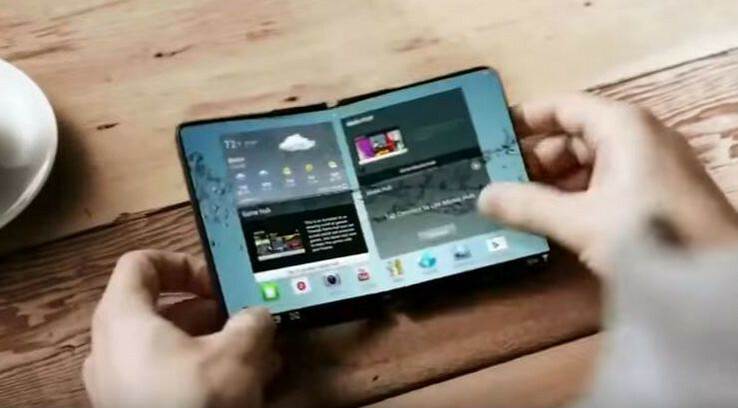 Samsung has been working on bendable and foldable smartphone display technology for the past decade and the planned foldable Galaxy Note was supposed to bring the futuristic vision of smartphone to life as a shipping product. Company insiders have revealed that production of the device had been tentatively scheduled for late in 2018, but it now looks as though this target might now also be missed as well. A foldable smartphone could appeal to people who want a pocketable device that could be unfold to offer a user experience similar to that of a phablet. Although larger smartphones have grown in popularity, there are still plenty of customers opting for devices that can still fit into a pocket. The main problem with a foldable device is that it may not provide much utility unless opened. A second screen could help address this, but would only serve to increase the cost of what is fundamentally a niche product.